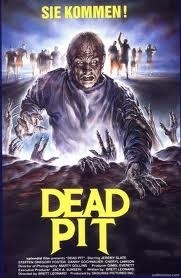 “The Dead Pit” has all the makings of a classic cult movie. Mad Doctor, Zombies, Mental Hospital, Over the Top Gore, etc. I’d tried watching it last year, but I couldn’t remember too much about it. Not a great sign, but still, with a pedigree like that I knew I needed to give it another shot. 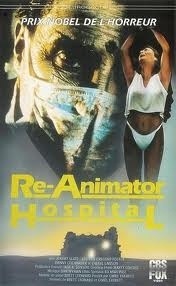 The movie is about a mad doctor who has been experimenting on his patients in a local mental hospital. Another doctor manages to overpower, kill and seal him him in the basement of the hospital. 20 years later Jane Doe (seriously) is sent to the same hospital the same day that an earthquake releases the mad doctor and his zombie creations. Jane tries to alert the head psychiatrist, but nobody will believe her. Until it’s too late ! The acting is pretty run of the mill for a late 80s b-horror flick, which is to say, not great. The mad doctor is okay, but not overly memorable. Ditto for Jane Doe actually. There was a British mental patient sidekick type guy that was pretty good, but apart from that the acting is pretty iffy. I really wanted to like this movie. Like I said, it has so much going for it. The effects are pretty good, and the premise, while somewhat hackneyed, is also good. It’s hard to screw up a movie with this much promise, but something about it just feels hollow. This is another of those horror flicks with a “Crazy girl keeps seeing stuff that other people don’t, so she looks crazier, but really that stuff is actually happening and people keep dying until theres a predictable “twist” ending” thing going on. 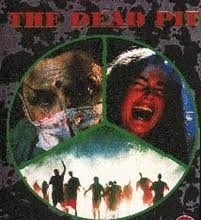 Much as I love movies set in mental hospitals, this one was a bit tedious. In the end, I can’t really recommend this film. It’s got some good effects and a great premise, but it just doesn’t live up to its ambitions. 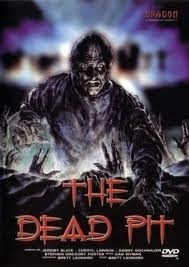 It’s pretty much a blueprint of stuff I enjoy in a horror flick, and yet it drops the ball pretty badly. 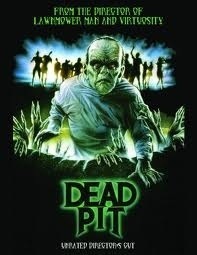 I suppose they should have called it “The Dud Pit”, but that’s just mean. This entry was posted in Reviews and tagged 2012, cult, dead, doctor, film, gore, gross, Halloween, Horror, Movie, October, Remake, review, Scary, thriller, zombie by lazron. Bookmark the permalink.